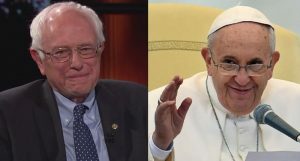 Sen. Bernie Sanders visited the Vatican today and spoke at a conference on the theme created by Pope Francis of a “moral economy”. 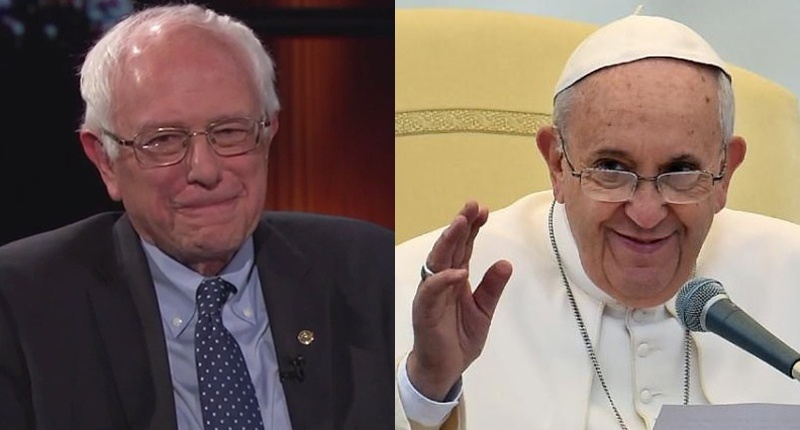 It’s not surprise why the Pope invited Sanders of all people to give a presentation – he is the only candidate on either side who speaks precisely to that. Pundits have said that leaving New York just prior to the primary may not be wise, but this is actually an enormous move for Sanders establishing himself as recognized by important world leaders. Indeed, the senator is discussing global poverty at the Vatican in the company of the presidents of Ecuador and Bolivia. Sec. Clinton will also be out of the state this weekend as she attends fundraising attempts, one closed-door event hosted by George Clooney. Clinton goes off to raise money while Sanders travels to talk about income disparity and poverty. If ever a contrast shone brightly.